Travel Hwy 97 (Cariboo Hwy) north from 100 Mile House. This large lake whose literal translation is "Lake of the Axe" is nearby to the LacLa Hache Provincial Park, with hiking trails, picnic area and boat launch. The entrance is located 13 km (8 miles) from Lac La Hache community. Continue north on Hwy 97. Another important stopping point along the Gold Rush Trail, 150 Mile House once served as a place to change stagecoaches before continuing west to the Chilcotin, or east to the goldfields. Today it is the turnoff east to some of the recreational areas near Horsefly, Quesnel Lake, Quesnel Forks and Likely. Located on the banks of the Horsefly River, an important salmon spawning stream, Horsefly is the site of the Cariboo's first gold discovery in 1859. 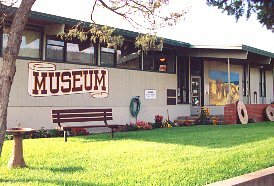 Located on Campbell Avenue, the museum features artifacts of the area's mining, logging, and trapping industry. 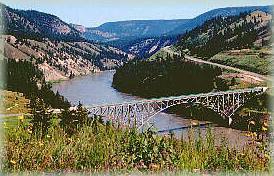 The park is located 13km (8 miles) northeast of Horsefly and offers excellent hiking and fishing. Backed by impressive glacial mountain peaks and Wells Gray Provincial Park, some reaching 2400 m (8000 ft), this is the deepest lake in B.C. and the 2nd deepest on the continent. Quesnel Lake is located near Likely, 36km (22 miles) northeast of Horsefly. Access to Likely is via the back road from Horsefly or back to the junction. Take the north fork that goes past Big Lake, around Moorehead Lake and onto Likely. 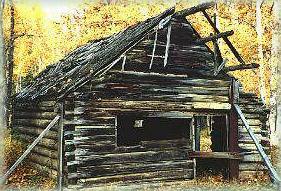 This small community on the Quesnel River mouth on Quesnel Lake is full of gold fever history. It is also known for its superb fishing, hunting and hiking. Interesting mining artifacts may be found in this park. Camping is available among the cedars. Excellent access to the Quesnel River. Just past Likely, turn northeast at the Quesnelle Forks road sign for about 13km (8 miles). This road leads to what was once known "as BC's largest city north of Victoria". Unfortunately as the gold ran out, so did the people. In recent years restoration has begun on this heritage site. Heading back to Hwy 97, 5km (3 miles) west of Likely, is the world's largest gold mining pit, 90m (295 ft) deep and is over 3km (2 miles) long. This pit was created using hydraulic mining techniques. The ranch at Williams Lake once raised food supplies for the gold fields but the town didn't begin to prosper until the Pacific Great Eastern Railway (now B.C. Rail) arrived in 1920. This community's diverse economic base includes ranching, farming, forestry and mining. Well known for the Williams Lake Stampede, this 4 day event established in the 1920's, is now part of the professional rodeo circuit. Located at 113 N. 4th Avenue, the museum displays artifacts depicting lifestyles of the areas pioneers. A 1947 pumper truck is on display across the street at the Fire Hall. A park with playgound, wading pool, tennis courts and picnic area is located accross the street. These walking trails and the observation deck are a great place for children to explore nature's wonders. The Centre overlooks Williams Lake and the town itself. Guided tours are available. The trail head for the Williams Lake River Valley Trail is located here. Located 19 km (12 miles) north of Williams Lake these trails serve as cross country ski trails in the winter and excellent biking and hiking trails in the spring and summer months. The Bull Mountain area offers visitors the Minton Creek Walk, a self-guided tour on the forest and its life cycle. Also take the Silviculture Trail and see how foresters use science to help them manage this woodlot. Dating back to the 1920's, this is the oldest building in Williams Lake. Located at the foot of Oliver Street, this is the original BC Rail Station. It now houses the local gallery featuring carvings, paintings and locally made crafts. Participate in a cultural and spiritual experience in authentic native living before the white man's arrival. Sample traditional fare, view ancient petroglyphs (located near the teepee circle) and visit a mini workshop. Reservations are needed to visit this heritage village. The Cariboo Chilcotin, with its kaleidoscope of colors and hues, is the perfect year round playground, and in the centre of it all is the City of Williams Lake. Enjoy a dream vacation with the help of the Williams Lake & District Chamber of Commerce the informed and friendly staff is well versed on Williams Lake and area.